Daniel M. McCabe was admitted to practice before the Courts of the State of Connecticut in 1974. Attorney McCabe served as an assistant clerk of the Superior Court at Stamford from 1974-1976. He practiced law with the firm of Brennan Dichter and Brennan in Stamford from 1976-1982. 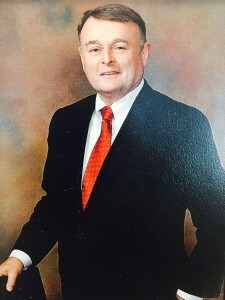 Daniel M. McCabe first established his practice 1982 for the private practice of law. Attorney McCabe is an active member of the Stamford community and has formed his practice to meet the needs of the average person and/or family requiring legal services. Dan’s legal career has involved rendering legal advice to individuals and business entities concerning commercial transactions, business organizations, real property transactions, estate planning, probate matters and litigation. Dan is currently a Member of the Advisory Board for Trinity Catholic High School. He is also an Adjunct Professor of Business Law at Sacred Heart University. He previously was the Chairman for the Stamford Housing Authority, Co-chair of the Stamford Reapportionment Committee, Co-chair of the 13th Charter Revision Commission, President of the Board of the Stamford Catholic Regional School System, Member of the Board of Parole for the State of Connecticut, Chairman of the Republican Town Committee of the City of Stamford and Counsel for the Stamford Water Pollution Control Authority. Also he served as Corporation Counsel for the City of Stamford where he held the position of chief legal counsel and advisor to Mayor Stanley Esposito of the City of Stamford. Dan has coached over 40 youth sports teams including girls’ softball, Little League, Babe Ruth baseball, youth soccer, Pop Warner Football and youth basketball. He was previously a Board Member for the North Stamford Little League and Terry Conner’s Skating Parents Organization which supports synchronized skating teams.